I enjoy my daily dose of Shelf Awareness, but today's was so good, I had to steal it outright, some great tips for maximizing your enjoyment of BEA. After a long day under the fluorescent lights of the Javits, catch the last rays of sun on the High Line park, built on a former elevated freight railbed; in this era of sustainability, it's one of the New York City's greatest recent contributions. 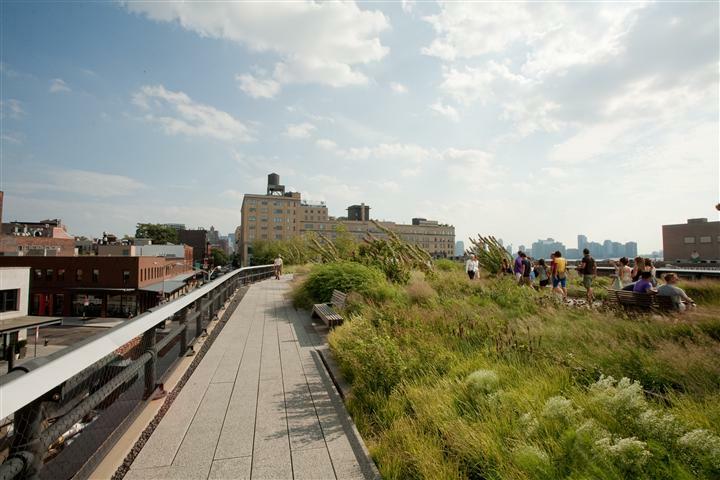 Enter at 30th Street and 10th Avenue to stroll paths lined with grasses, flowering plants and gray birches. Each section reveals different features--a mini-lawn, a sundeck, a steel flyover walkway. A bonus: The park also offers lots of free activities, including tours with the High Line gardeners by day and stargazing by night. The only thing better than relaxing on the High Line is doing so with a cocktail in hand. Ease into the evening at Terroir on the Porch, one of the few venues on the High Line that has nabbed a liquor license. The gleefully nonconformist wine bar--its slogan is "the elitist wine bar for everyone!" --features an artisanal-leaning menu and New York State vintages and brews, plus a veal and ricotta meatball sub that puts the cellophane-wrapped Javits sandwiches to shame. Let's be honest: The streets near Javits are hardly bastions of culture. For that, stroll toward more artistic pastures--the Chelsea art galleries. The variety (and occasional audacity) of art is formidable, spread out among 200-plus galleries. 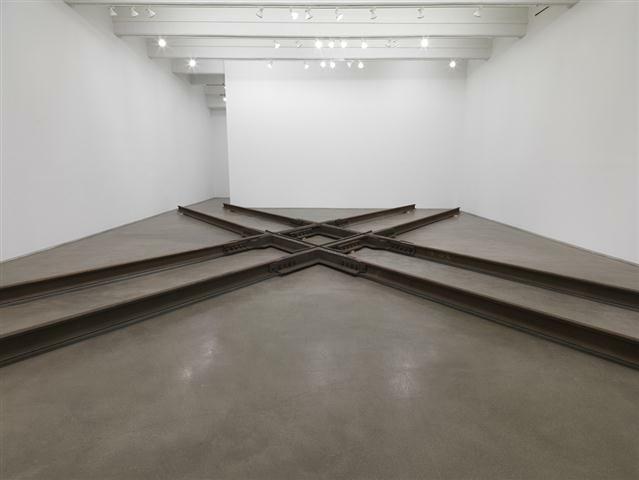 Check out the airy Zach Feuer Gallery (530 W. 24th St.), which will feature an eye-catching sculpture, Diamond Crossing, during BEA (through June 15), composed of decommissioned steel railroad tracks. In the mood for wine served in a plastic cup? Saunter through Chelsea on Thursday night, when many of the galleries celebrate openings and where you can often meet the artists. Carrying around all that BEA book swag is probably working out muscle groups you never knew you had. Continue doing so at the 23-foot rock-climbing wall at Chelsea Piers. Or unwind at the Chelsea Piers golf club, which is Manhattan's only year-round outdoor driving range. When you tire of hitting those little white balls, you can turn your sights to the gorgeous views of the Hudson River. Trek the leafy banks of the Hudson River along the longest waterfront park in the U.S. Hudson River Park boasts five miles of continuous esplanades for walking and cycling, plus tennis, basketball and beach volleyball courts, and free kayaking, which just opened for the summer season. If you're feeling adventurous, trek downtown via the park path to practice your aerial moves at the Trapeze School New York (on West Street near Houston St.). 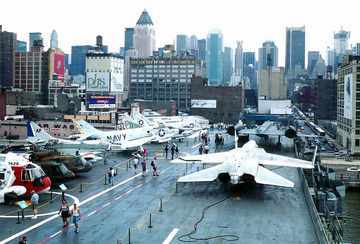 History mixes with the present at the USS Intrepid aircraft carrier, just north of the Javits at Pier 86. Although the Space Shuttle Pavilion is still closed due to damages sustained by Hurricane Sandy, you can tour other exhibits, such as flight simulators, fighter planes from the 1940s, the world's fastest spy plane and the Growler, a guided-missile submarine. A float down the Hudson River affords wide-angle views of the Manhattan skyline that you rarely get from land. Hop on the Circle Line for an afternoon away from the Javits or opt for the Semi-Circle, an hour and a half cruise that offers glimpses of all the biggest landmarks, including the Statue of Liberty, the Brooklyn Bridge and the Chrysler Building. You can also make a night of it with your new BEA friends on the Thirsty Thursday Night DJ Dance Cruise, which starts its season on May 23. 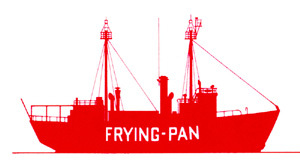 Continue the maritime theme and eat like an angler on the outdoor deck at the Lightship Frying Pan, a historic lightship docked at Pier 66 that serves crab cakes, fresh shrimp, grilled corn on the cob and, of course, drinks. The name may conjure up images of reporters with press badges typing furiously under deadline, but the reality is far more soothing. The breezy, shaded rooftop that crowns the boutique Ink48 hotel spreads over 3,000 square feet. During BEA, Press Lounge is pouring its spring cocktail menu: try the Kentucky Sentinel, with bourbon, amaretto, Southern Comfort, and orange and pineapple juices. You may just feel inspired to consider this upscale hotel for next year's BEA; they offer all sorts of fun deals, like complimentary bike use. Looking for a less formal destination for dinner and drinks? Bring your BEA buddies to Pio Pio and cap off the day with a pisco sour, accompanied by tangy ceviche and a Peruvian-style whole chicken--and perhaps another pisco sour (or three). In keeping with Peruvian tradition, dining out here is as much a social occasion as a culinary one. Really, there are beautiful parks. This blog shows the complete information about the beautiful areas of New York. People visit to Javit Center to enjoy the activities. Javits center long term parking assists them to park their vehicles without any problem.